A summer hat is not only a cute accessory but it also serves an important purpose, as long as you shop carefully. Children are precious little people and it's important to keep them protected when they're outside playing. Choosing the right summer hat can provide plenty of benefits to both you and your child. 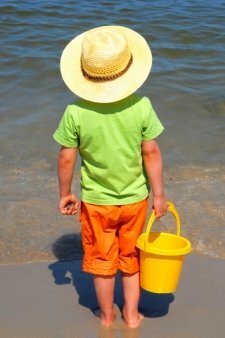 The biggest reason for purchasing a summer-hat for your child is likely the sun protection factor. To get the most UV protection possible be sure you choose a hat that has a wide brim. A wide brim will offer more protection than a hat with a smaller brim. The brim will help to shade the face, ears and neck from the sun and help prevent your child from getting burned. Burned skin is very uncomfortable and can be very damaging to their sensitive skin as well. Children love to play outside, especially during the summer when the temperatures have soared and the sun peeks out more often than not. Keeping a hat on your child's head can allow them to play longer outside without having to worry about them getting burned. It's important that they still wear sunscreen of course because a hat will only provide sun protection for the face, head, ears and neck. While this is definitely a good start, a hat can simply not provide protection for the entire body. With the sun's rays constantly beating down, children can get hot very quickly if they aren't wearing a hat. You may at first think that wearing a hat would make them hotter but it really isn't the case. A good summer hat will shade their face and prevent the sun's rays from hitting their heads directly. Summer hats are made with light, breathable fabrics that will help keep your child cool and comfortable while they play outside. You can easily purchase a hat for your child that is less than $20. They are very affordable so it almost seems silly not to buy one. Children's hats are available in a wide variety of styles, sizes, colors and price ranges so there really is something for every child. One helpful tip that is worth mentioning is to let your child choose their own summer hat . This will ensure that it's something they want to wear so they'll actually wear it and keep it on as they play. Talking to them about the importance of sun protection is a good way to make sure they keep their hat on too. Explain to them that getting burned is possible and that it can be painful and damaging to the skin. 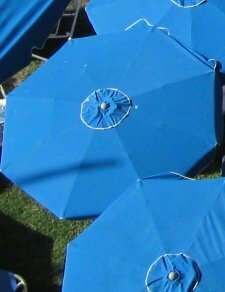 It's up to parents to educate their children on the harmful effects of the sun's UV rays. Children have very sensitive skin and can burn very quickly when the sun's angle is at its highest - even on cloudy days.